Besides the fact that the styling of this new yacht pays homage to J.P. Morgan’s famous Corsair IV (1930), she attracts a lot of attention because she’s one of the latest big boats to emerge from China, a country where luxury yacht building is increasing exponentially across all size ranges. 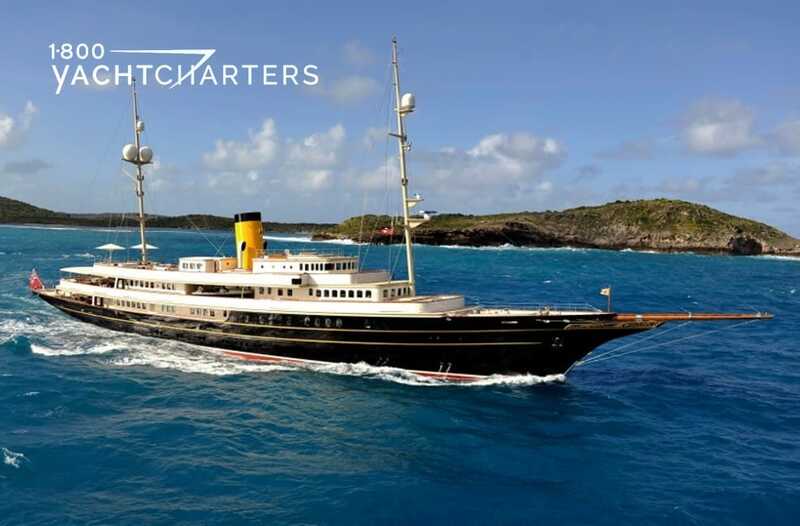 Nero was built specifically for yacht charter, and she features accommodations for 12 passengers. No more “suite” — the owner’s cabin is actually a duplex — containing a bedroom, a dressing area separate from the his-and-hers bathrooms, stairs to an observation lounge and cinema, Owner’s private office, a guest bathroom, and a living room the size of the salon on some 100-foot yachts. 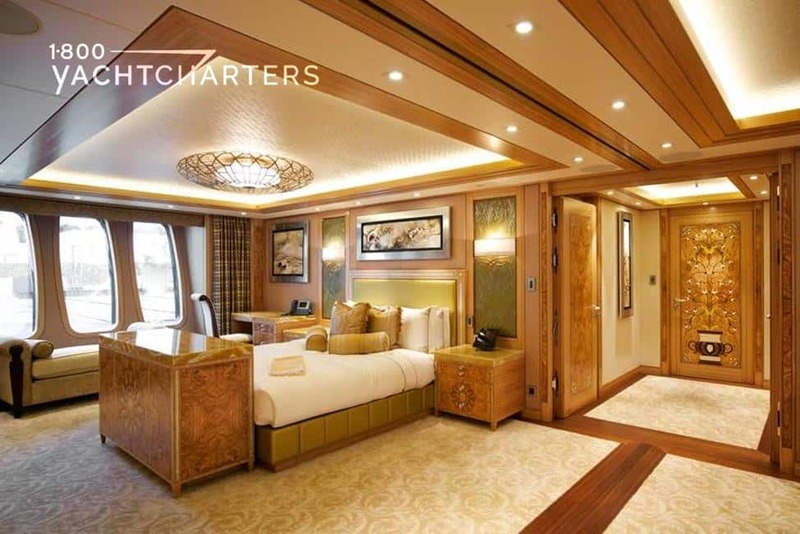 Since Nero will only take 12 guests, each of the staterooms is more than ample, too; in fact, the two VIP suites contain salons with plasma TV’s, and a private saloon. One of the VIP’s has his and hers bathrooms and a large dressing area, and the other has a huge restroom. 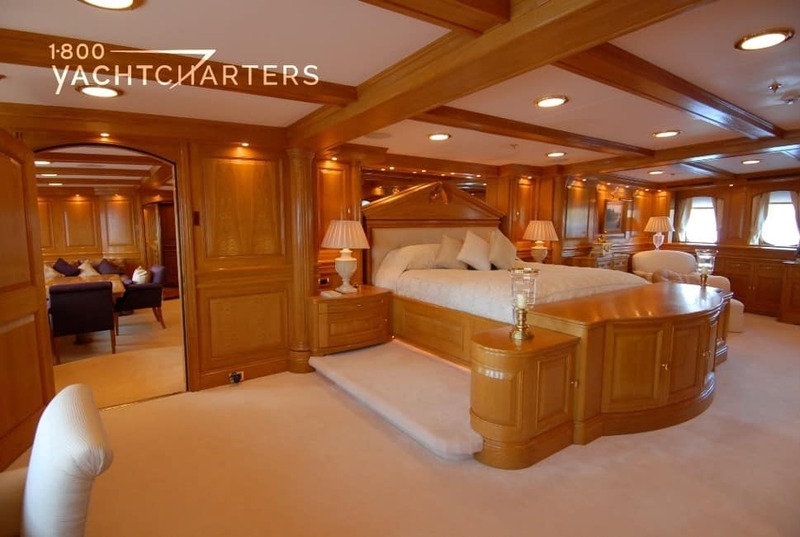 There are also two double/twin staterooms (can be configured either as 1 double or two twins), all located in the midships section of the yacht. The main guest suite can be divided into two separate cabins with ensuite facilities if required. 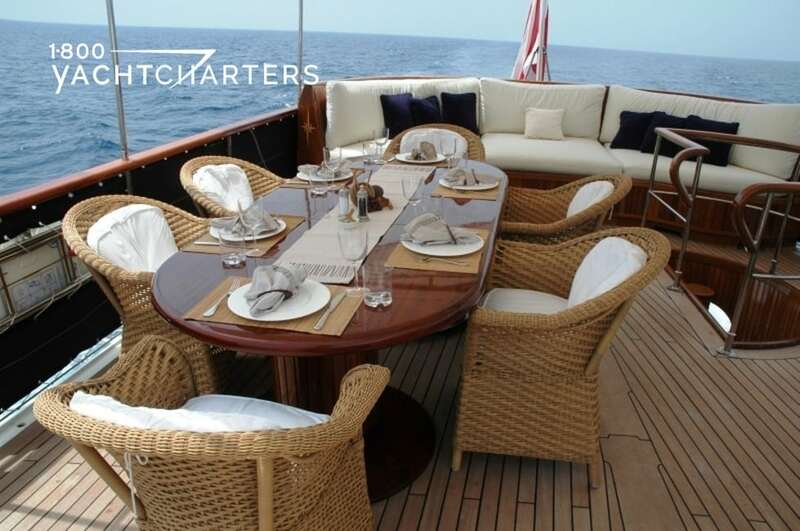 Just imagine the elegance of your yacht charter vacation aboard gorgeous superyacht, Nero.